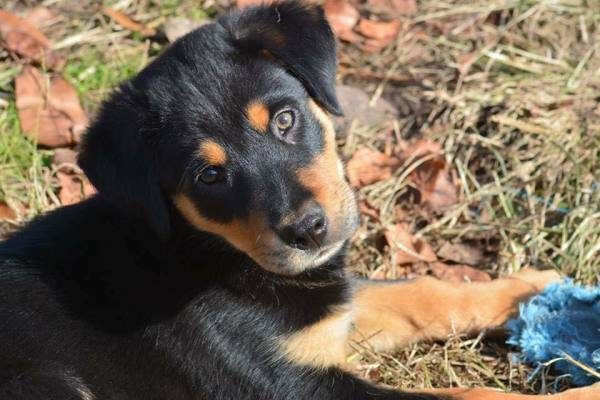 4 Paws Animal Rescue’s goal is to place homeless dogs into loving homes and families. We take special care to match the right home with the right dog, ensuring a lifetime of love for both the pet and the adopter. Our adoption process may seem time consuming or unnecessarily complicated, but please understand that we have our dogs’ best interests at heart. We strive to find the best homes possible for our dogs, as well as find the right dog for you and your lifestyle. When you are ready to adopt a new friend, we'll ask you to complete our friendly screening process, which ensures safe and successful adoptions! Fill out an Adoption Application. Click Here for cat/kitten application. Click Here for dog/puppy application. For renters, we'll check with your landlord to ensure that dogs are permitted and that the dog that you're adopting wouldn't violate any size or breed restrictions. Lastly, we'll visit your home to see the environment where the dog will live, answer your questions and complete the adoption if everything checks out. Please understand that our organization is completely run by unpaid volunteers, who dedicate their free time to help the dogs. If your references are unavailable, it will delay the process, since those must be checked before moving forward. The entire adoption process takes time; we are unwilling to sacrifice being thorough when the dog’s future is at stake. We thank you for your time and patience throughout our adoption process. "You have not lived today until you have done something for someopne who can never repay you." 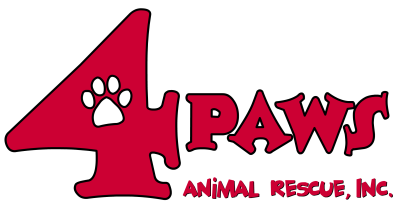 4 Paws Animal Rescue is a 501(c)3 non-profit organization. We do not receive government funding or grants and therefore rely heavily on our adoption fees. Our adoption fees are set to allow us to cover our expenses as well as to help other animals in our program that require additional care. Our fees cover vetting costs (including spay/neuter surgery for all dogs over 6 months of age, DHLPP shots, rabies shots, and de-worming), shelter fees, fuel for transport, copying and printing of contracts and paperwork, our website presence, food, boarding, behavioral training and additional medical care. It is important to note that while the animal you adopt may not require all of these things, many other animals in our system do. Thus, any “extra” money from adoption fees goes to help those animals who may require additional care. By adopting from 4 Paws, you are not saving just one life, you are helping to save others as well. We accept cash or credit payments for adoption fees. There will be an additional fee for credit payments of $10.00.